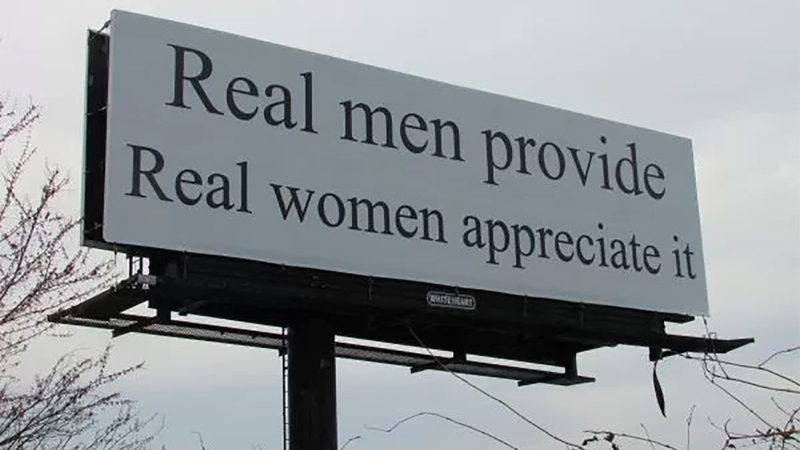 Protesters are expected to demonstrate near a billboard on Business 40 between Greensboro and Winston-Salem that reads "Real men provide, real women appreciate it." According to Triad City Beat, the billboard is a paid advertisement and the company that owns the sign is standing by the message calling it "freedom of speech." A Facebook group is organizing a protest on Sunday at the sign. "We are protesting patriarchy and sexism, and that this antiquated way of thinking about women exists at all," organizers said on the Facebook page. "We are protesting the implied demand that women be silent and appreciate, regardless of whatever circumstances, their role as non-providers."